My dad was drafted for the Vietnam war. Though he never ended up in-country, he did train to drive an APC. Considering what I learned later during a Vietnam War History class that I took, I'm glad he didn't end up over there. It probably wouldn't've gone well. The Vietnam War is one that's not often talked about in gaming circles. But Battlefront is looking to change that with 'Nam, their minis game set during that conflict. They've got a new website up and running, and they're celebrating with a sale on everything in the shop. The Vietnam War (or the American War to the Vietnamese) defined a generation, whether it was through service in Vietnam or opposition to the war. The war in Vietnam, fought nearly half a century ago, remains one of the longest and bloodiest wars since the Second World War. Despite its popular depiction as a guerrilla war of endless patrols and small ambushes, both sides were constantly looking for decisive victories in large-scale battles. This book allows you to recreate some of these battles on the tabletop using the popular Team Yankee miniature wargaming rules. To celebrate the launch of ‘Nam we are having a sale! 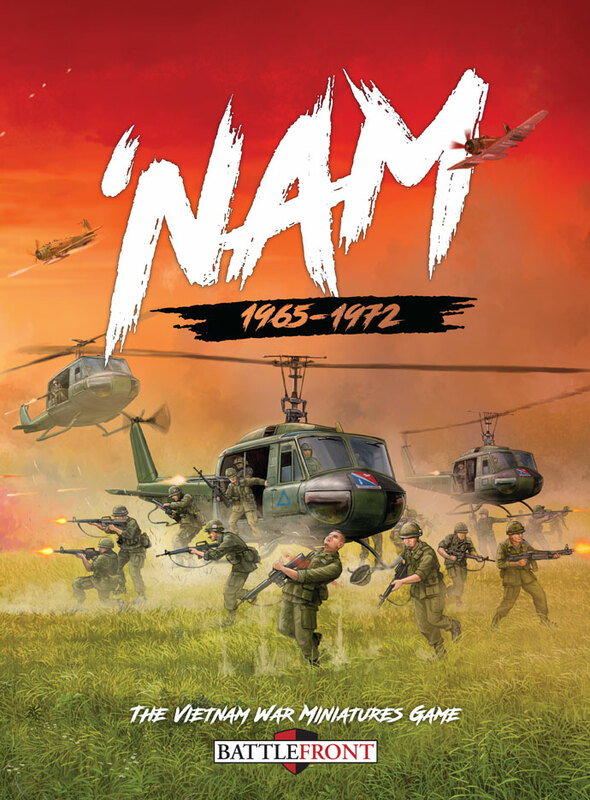 You can get 25% off the entire ‘Nam range, excluding the book, army deals and card packs.